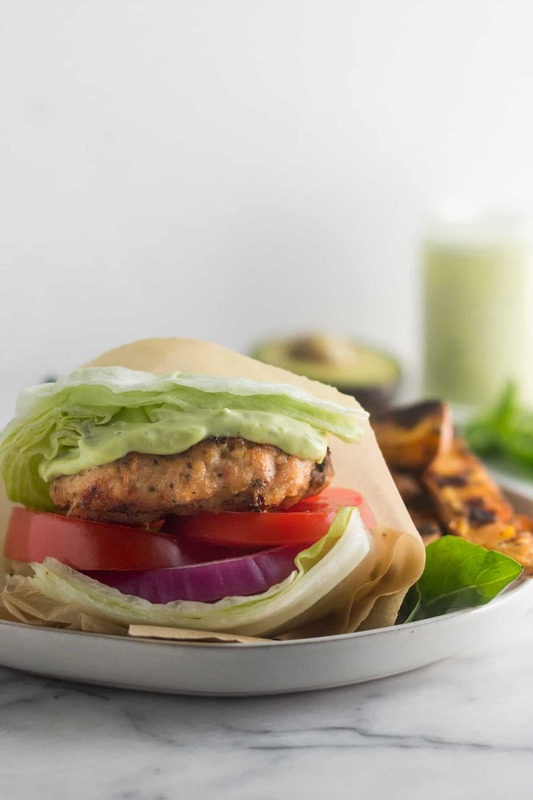 This Paleo Sun Dried Tomato Chicken Burgers will be your new favorite summer to-go! 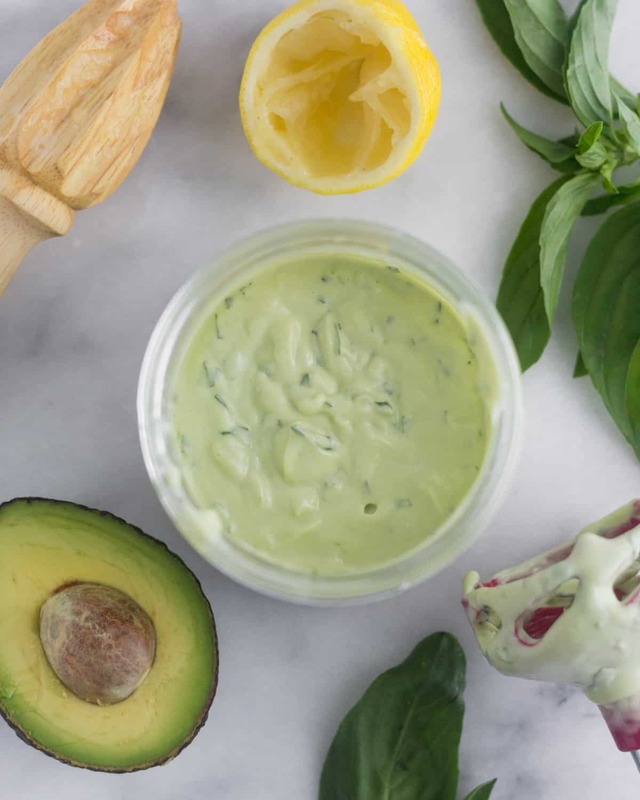 Made with only a few simple ingredients, packed with flavor, and the avocado basil aioli will be your new favorite condiment. 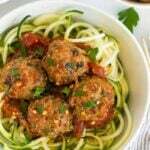 And easy and healthy summertime paleo, Whole30, and gluten free recipe. This post is sponsored in partnership with Orkin Pest Control. All opinions expressed (as always) are my own. I only partner with brands I trust and personally recommend – thank you for your support in helping make Eat the Gains possible! My excitement for this summer is an understatement. It’s my absolute favorite month and sunshine just makes me happy. Cold weather is not my jam, which is one of the reasons I moved away from the northeast. This will be our 4th year here in Austin (whoa, that’s crazy to say), but this summer is going to be different because we have a house and a yard and the cutest patio. AKA ALL THE OUTSIDE ACTIVITIES!!! I’m so so excited! Ever since we moved here, we dreamed about having a yard. The house we were renting before had no room to do anything outside, except maybe in the front yard, but I don’t really like hanging out in the front yard. No need for all my neighbors to see what I am doing. Being outside in Texas isn’t always easy though. It gets hot here around April and with the warm weather comes mosquitoes. If you know me personally, which I’m guessing a lot of you don’t, I despise mosquitoes, yet somehow they seem to love me. 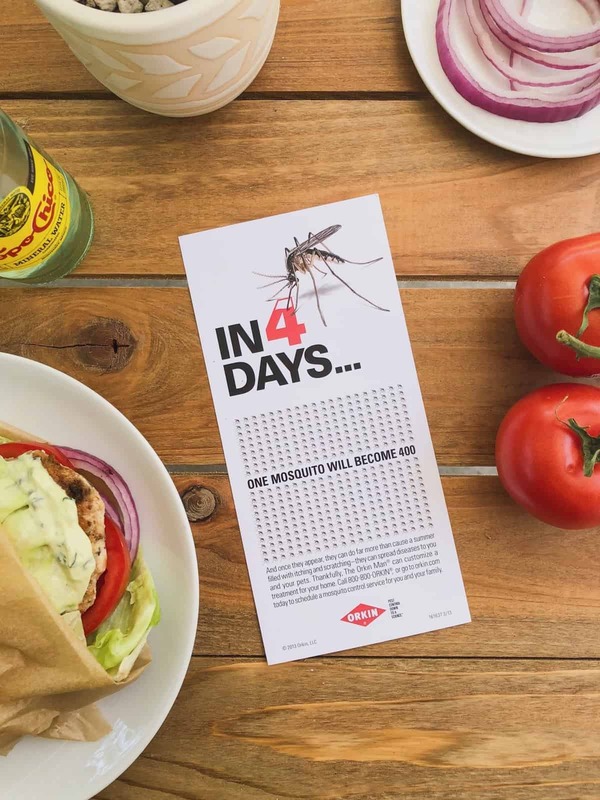 Mosquitoes are not just a nuisance though, when they bite, mosquitoes are able to transmit dangerous diseases like Zika virus, chikungunya virus, West Nile virus, and more. For as long as I can remember, I am prone to getting bitten. I could be outside for 2 minutes with 5 other people and I will walk away with about with 5 bites and everyone else will have zero. It is rather frustrating and has hindered me going outside from time to time. But this summer will be different thanks to my friends at Orkin Pest Control and their Summer Mosquito Treatment. I didn’t know what to expect for the mosquito treatment, but the process couldn’t have been any easier. Besides the fact that my technician answered all my questions about the treatment, he was also very friendly and we talked about everything from living in Austin to the keto diet. 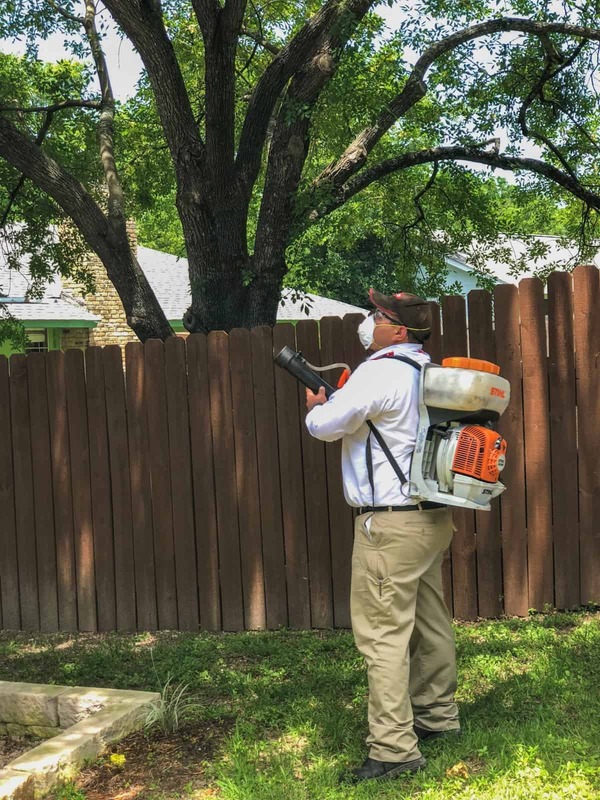 Orkin’s mosquito control treatments are approved and regulated by the EPA, and the technicians are specially trained to use them. When they apply the treatment, it is in focused areas of the yard to target the places where mosquitoes breed. It only took about 15 minutes and it was pretty cool watching them spray – it basically looked like the thing from ghostbusters haha! Between dusk and dawn is prime mosquito activity time. Wear loose fitting clothing as mosquitoes can penetrate tight fitting clothing. Mosquitoes only need a small amount of standing water (less than an inch) to breed. Make sure to clear standing water in gutters, buckets, and other containers. Protect the barrier around your home – mosquitoes are attracted to incandescent light, so make sure to use fluorescent bulbs in outdoor light fixtures. While I’m super excited for the Orkin mosquito control treatment and how effective it is at reducing mosquito populations, mosquitoes don’t respect property lines or fences and can fly from neighboring yards. It’s important to talk to your neighbors and work together to eliminate conditions where mosquitoes can breed. And Orkin is kind enough to give y’all a special offer to get mosquito control treatment for your home! Orkin is offering $50 OFF your initial service for mosquito control! 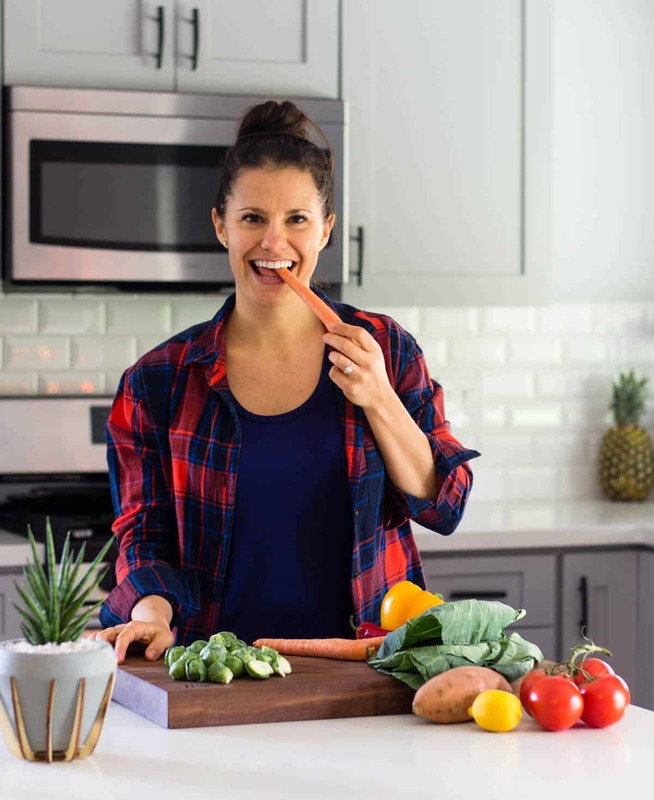 Sign up here or call 877-778-2497 and mention Zero Bite [0bite]. The licensed pest professionals at Orkin will design a custom treatment plan that fits your yard’s needs. With our yard now treated, that means all the BBQing will be going down. I used sit inside and watch Michael BBQ since I would get eaten alive, but now I can hang outside with him (on our new patio!) while he does his thing on the grill. 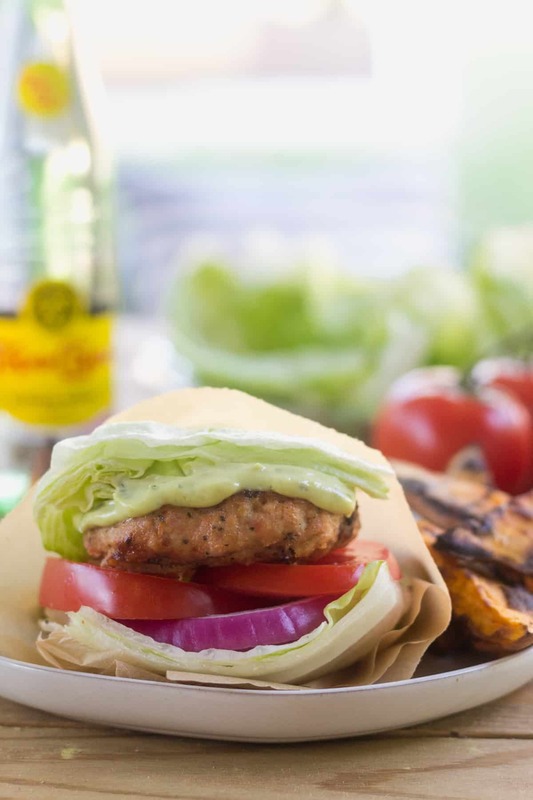 And our new favorite are these sun dried tomato chicken burgers! Okay so now for the recipe! 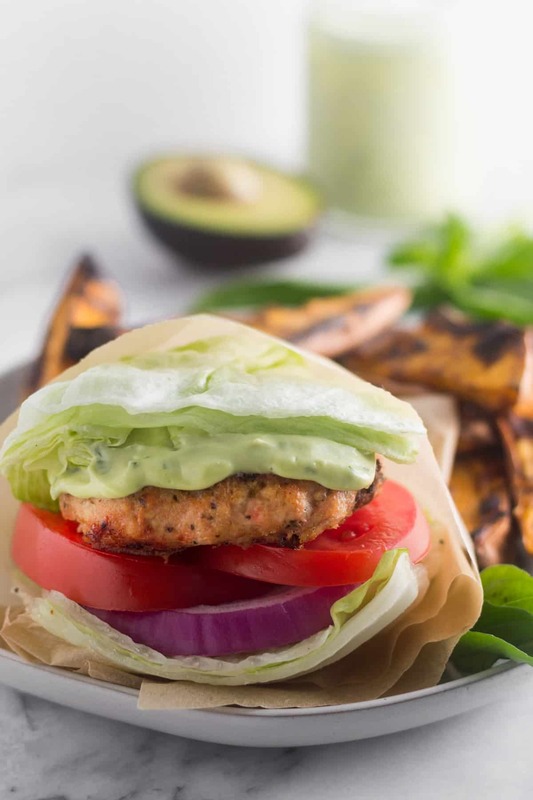 5 ingredient burgers with a dreamy avocado aioli that you will pretty much want to spread on everything! We had made these burgers 3 times already and each time I love them even more. 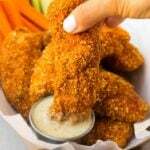 Depending on how you make these, they can be a little finicky, so here are some pointers. Ground chicken can be very wet sometimes. Also the leaner it is, the more wet it is. I added a tablespoon of coconut flour to help absorb the moisture some. You can add more or less depending on how your mixture feels. 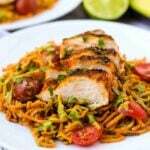 If you are not making them on the grill and in a cast iron skillet or sauté pan instead, you can leave it out. I also froze them for 10 minutes before placing them on the grill so they would be fairly firm. If they are too mushy, they will fall between the grill grates. Also, make sure to place them on direct high heat for a few minutes, and then you can move them to indirect heat after they cook a little. You can also place them on tinfoil on the grill if you are nervous about them falling apart. 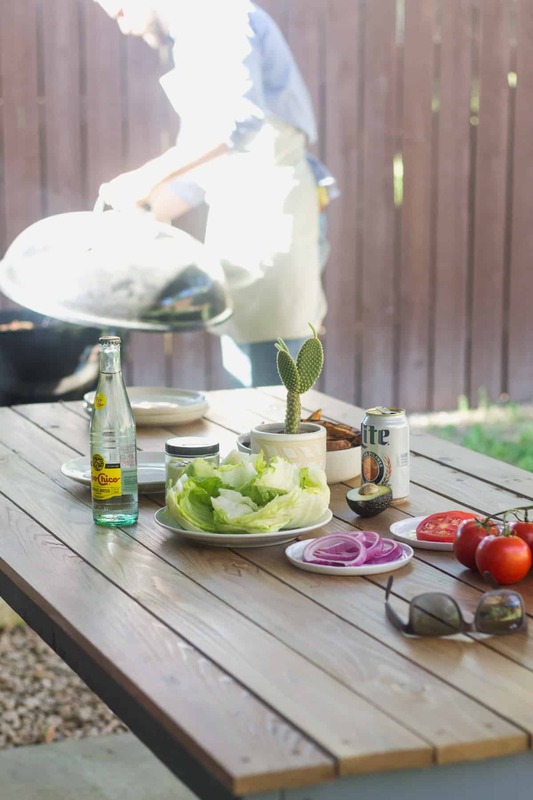 These steps can be skipped if you are not grilling them. 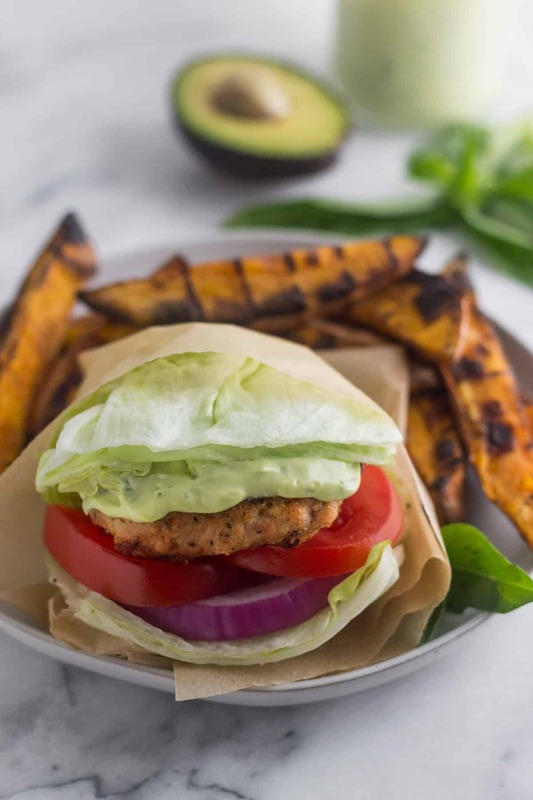 We served them with the classic burger fixings (lettuce buns, sliced tomato, and red onion) and with these grilled sweet potato fries but used the avocado basil aioli as a dip instead of the tahini sauce. 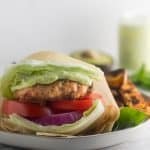 These sun dried tomato chicken burgers make for a quick and healthy summer meal or a great protein for meal prep. 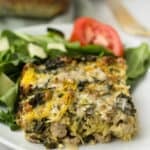 Serve them with your favorite side or over a salad for an easy protein packed meal. 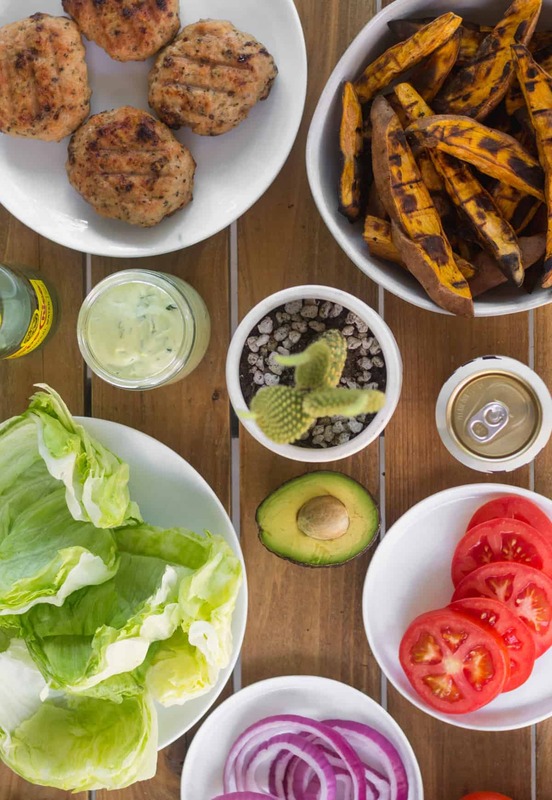 Add all ingredients for the chicken burgers into a mixing dish. Adjust coconut flour accordingly if using. Mix well and form into 4 equal size patties. If going to grill, place on a baking sheet and freeze for 10-15 minutes so they firm up. If pan frying, you do not need to freeze. Light grill and let it come up to temperature. Place burgers on grill over direct heat and grill for 3-4 minutes per side, flipping once. While the burgers cook, make the aioli. Add all ingredients into a small jar. Using an immersion blender, blend until smooth. 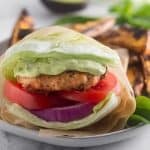 Top burgers with aioli and serve burgers with sides of choice! We did lettuce wraps with sliced tomato and red onion and a side of grilled sweet potato fries. *ground chicken can be very wet. Also the leaner it is, the more wet it is. I added a tablespoon of coconut flour to help absorb the moisture some. You can add more or less depending on how your mixture feels. 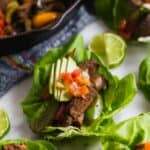 If you are not making them on the grill and in a cast iron skillet or sauté pan instead, you can leave it out. 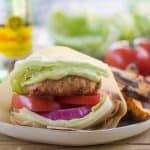 **nutrition breakdown is for 1 burger patty (using ground chicken thighs) + 1 tablespoon aioli. This post may contains affiliate links and I may make little bit of money if you click on and purchase the products that are linked. It doesn’t cost you any extra money. The compensation helps with expenses to keep ETG up and running. I truly appreciate your support.